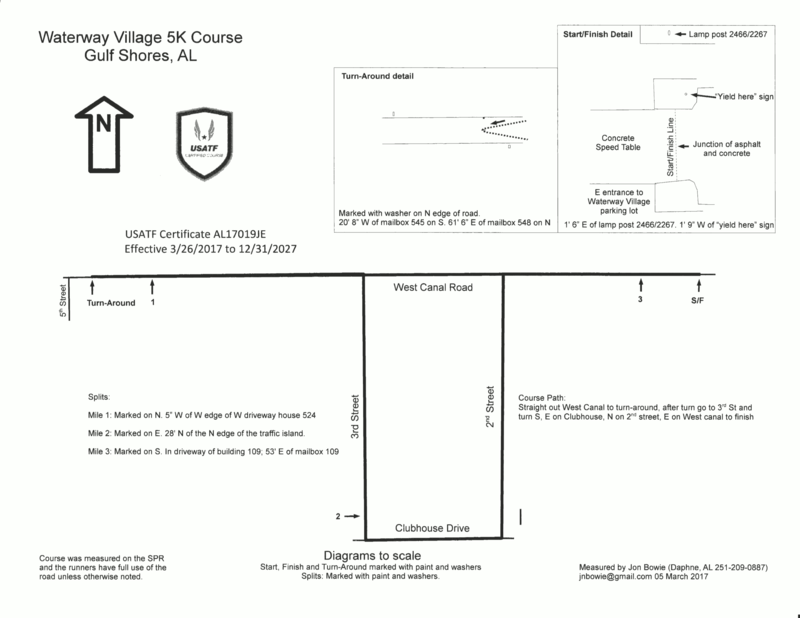 Pre-Registration: Mail in (should be postmarked by August 26), in person at McCoy Outdoor, Run-N-Tri, or Fleet Feet in Mobile, or Running Wild in Fairhope until noon August 29, online until 9 AM August 30. Online / Late Registration: Online Registration until 9 AM August 30. Early packet pick-up available 4 - 7 PM on Friday, August 31, at Tacky Jacks - Gulf Shores. Race day registration and packet pick-up at Tacky Jacks starting at 6 AM. Post-Race: Food, music, beverages, including Bloody Marys, and awards on Tacky Jacks back deck.